That is some great information. Thanks for all the research. Awesome info! This should be a sticky! Tools what cha think? This is awesome, already bookmarked. Now I know what they mean! Cheers! loved the tutorial... well done friend. Great info! I just happened upon this thread. Now it's ear marked for future reference. Thanks! David - was wondering if you could give me a quick assessment on this guy. thanks! I have seen the comment "its a fake" without further explanantion in a few threads. Ususally the pictures are so bad so it is impossible for me to see any details on the watch. Can anyone explain what details in daydate above tells its a fake. 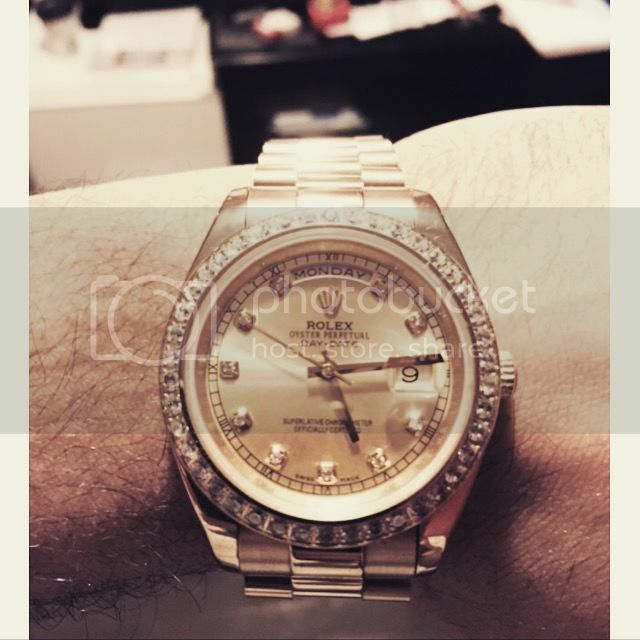 I could agree to that the diamond bezel dont look "right" but there are many aftermarket bezels to genuine rolex. And yes I have had a couple of daydates (genuine) so I do have some references. if you read the thread you can see the hallmarks look like they are engraved by a two year old child, this guy is just trying to joke around. I am looking at a Rolex that's vintage and I love it so much. I found your forum and read about the hallmarks. I am posting the pics and maybe if you have time to have a look at it you could tell me if it's a real one. Great info for future purchases! 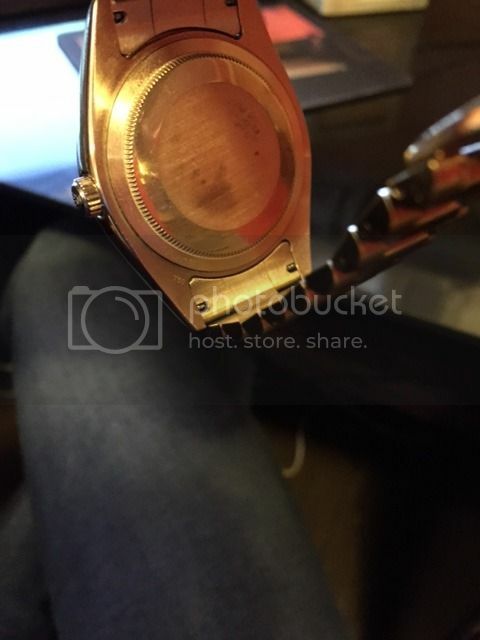 Tip: Never polish the hallmarks you will remove the detail and sometimes the letter G it is very fine, you need a loupe too see it, you can easily polish it away. These rules do not apply only to a president band; in the pictures immediately below we have a 1960’s ladies jubilee band, a 1990’s submariner band and an 18K white gold band with the same hallmark. 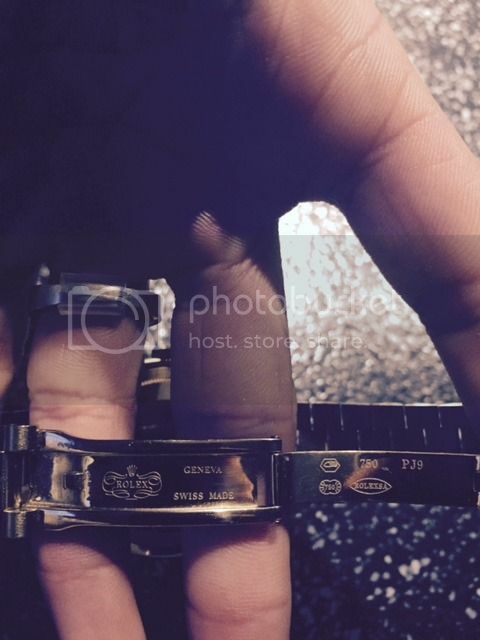 A friend has a 2018 TT Sky-Dweller bought from a UK AD but there appear to be no hallmarks whatsoever on the gold links. AFAIAA the UK requires all gold items to be marked. Any observations? House guarded by Rottweiler three days a week ... guess which days.